This was an attempt to make a time machine through the random combination of sounds, smells and colours. I am aiming to create a machine that produces different combinations of sounds, smells and colours at random, with the intention of simulating a moment of time travel in the mind. 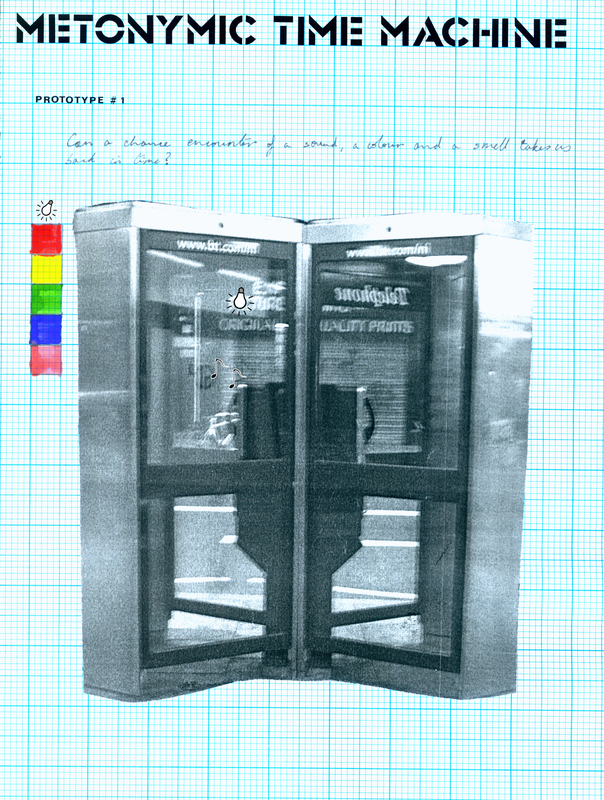 Using a public phone box on Queen Street, Belfast as a testing site I attempted to manipulate it as an initial trial of the time machine, Prototype #1. I called the phone box between 4pm and 5 pm each day of Fix live Art Biennial and invited people to listen to 3 or 4 pre-recorded sounds down the phone and asked them what smells the sounds remind them of. At the same time as this I slowly rotated the colour of the light in the phone box. I hope that by doing these 2 things I offered people the chance to travel back in time in their own minds.